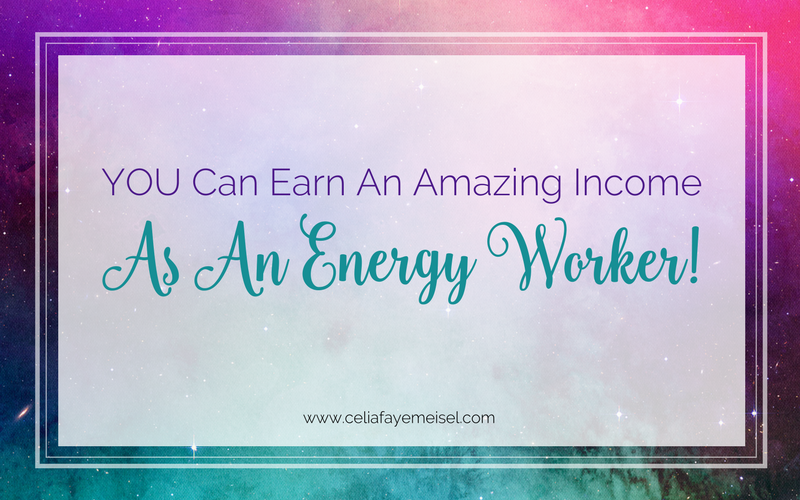 You Can Earn An Amazing Income As An Energy Worker! Today I was guided to look up my self-employed revenue stored on my computer, to celebrate my growth and expansion in the last few years. My story recap: I have been self-employed since 2008 & had freelance gigs since from 2008 to mid-2016. In 2013 I began having health issues that led me to change my career and get into energy work. The first full year that made income as an energy worker, my annual self-employed income (not including freelance work) increased by 2K (1/2 time was energy work, the other was my music business). The second full year, my annual income increased by 12K & 6 months into the year I had “retired” from my last business. The third full year (2017), my annual income increased by 21K, as a 100% self-employed full-time energy worker! (1) I didn’t closet my gifts. I spoke openly about being a sound healer, an angel communicator, and for several months referred to myself as a psychic coach. (2) I discovered that healing work alone was one portion of my gifts and that I could offer so much more & empower other women business owners with biz coaching. (3) I hired a lot of coaches to learn online biz strategy, spiritual business principles, all while continuing to advance my path with the unseen and energic realms. Now I am at a point where I am tuned into the Quantum Field and my Soul’s gifts to a level that I can get answers very easily, I hire specialists for my biz, and I have developed an Energetic Sales & Marketing Protocol with Energetic Business foundations – essentially, my own spiritual business coaching modality for energy workers – because we truly need a specific type of coach who can mentor us or we are thrown off course. You can mentor with me and an exclusive circle of Energy Workers in “The Energy Worker’s Mastermind” beginning in January – currently for 40% launch price – just visit https://celiafayemeisel.com/application and fill out the form … the rest will be determined.